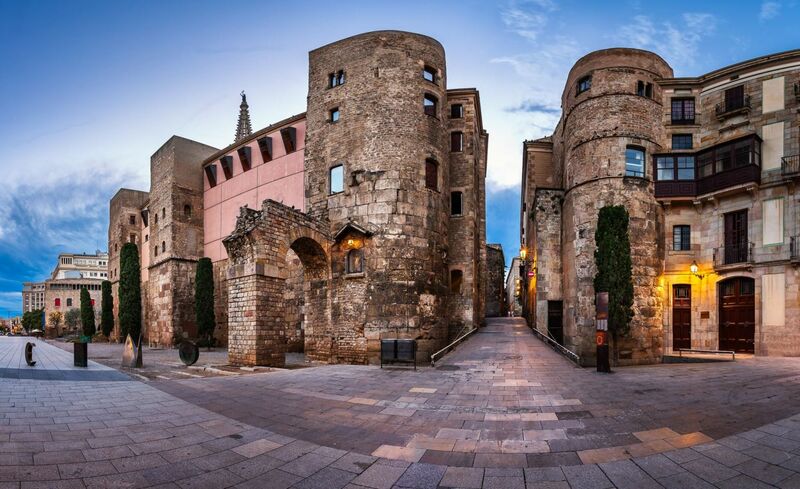 If you find yourself in Barcelona for only one day, you will need to make the most of it. There is so much to see, and so little time. So what better way to immerse yourself into the Barcelona lifestyle and culture than joining us for our 1 day Barcelona Adventure. Things kick off at 11am when you will meet for a walking tour lead by an expert guide. 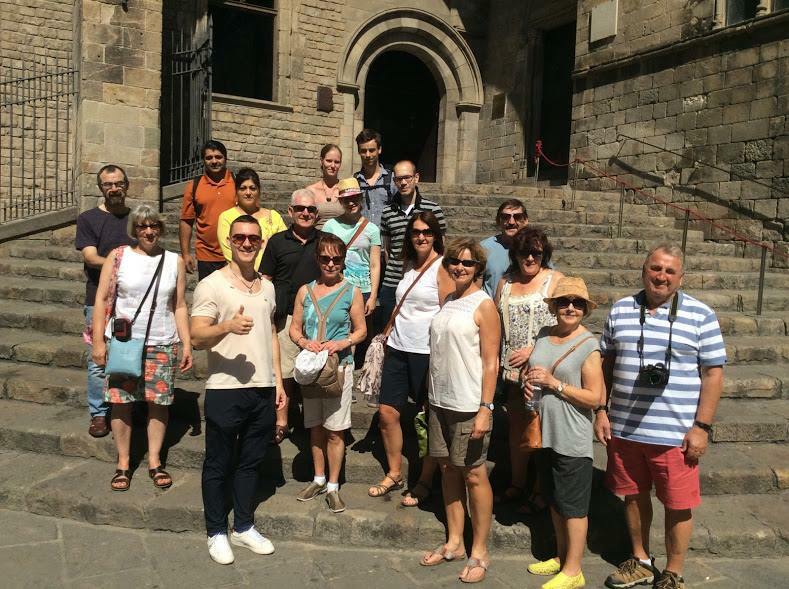 Your guide will take you round 2000 years of Barcelona history and explain everything about Catalan culture. You will see all the main sights of the Gothic Quarter, including the cathedral, the castle, the parliament square and many many more. 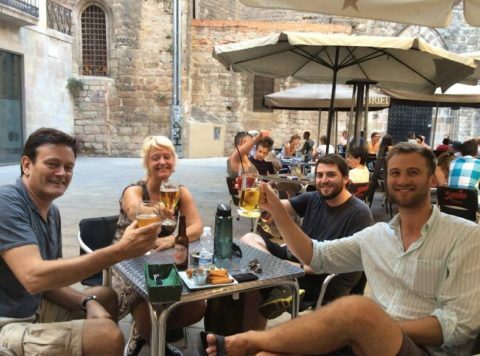 At the end of the tour, join your guide for a drink and they will recommend great activities to go and see in the afternoon. At this point, you pay whatever you think the tour is worth. Anything from nothing to a brand new Ferrari! Once you have explored in the afternoon, meet back at Travel Bar at 6 o’clock for your Paella Cooking Class. A chef will meet you at the bar before leading you round the Boqueria market. Here they will show you all you need to know about how to buy fresh fish, and they will gather all the ingredients they need for the class ahead. From here you will then be lead to a private kitchen where you will learn how to make tapas, paella and sangria! Cut up all the veg, gut the fish and stir away as you are taught the history of this world famous dish. 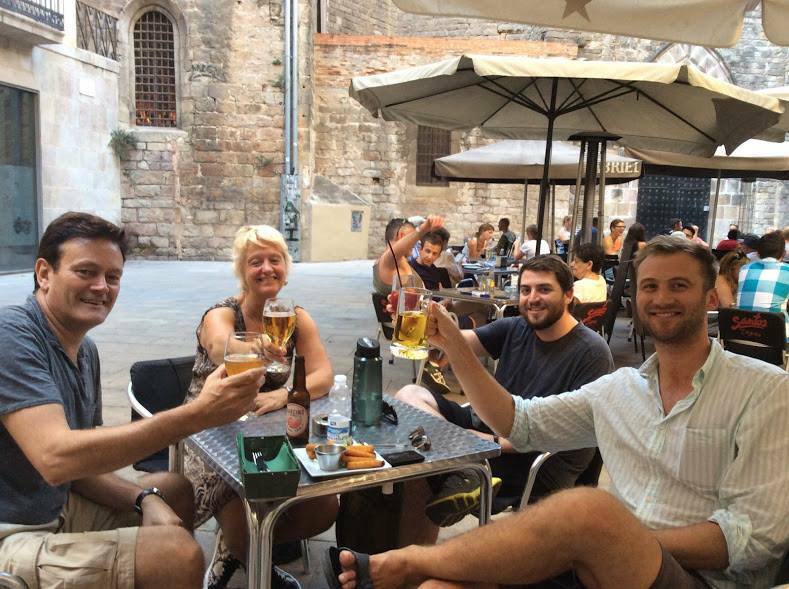 Enjoy this beautifully cooked dinner and sip at the wonderful sangria before you leave at 9pm to go and dance the night away in the capital of fiesta; Barcelona. What more could you ask from a one day city adventure?